Cannabidiol, commonly referred to as CBD, is one of more than 400 naturally occurring compounds found within the Cannabis genus. Many of these compounds can be found in a wide variety of plants, such as flavonoids and terpenes but some of these compounds are unique to this specific group of plants. CBD is classified as a cannabinoid, meaning it is one of a handful of chemicals found only within the Cannabis genus. What is the difference between hemp plants and marijuana plants? While both hemp and marijuana are members of the Cannabis genus, each one has distinguishing characteristics. The genus includes a couple of variations, with those containing more than 0.3 percent THC considered to be marijuana plants. Conversely, varietals that contain less than 0.3 percent THC are categorized as hemp plants. This key characteristic has a significant impact on the use and purpose of each plant type, as well as regulation by state and federal law. To simplify things, hemp plants contain less than 0.3 percent THC and generally have a higher concentration of CBD, whereas Marijuana plants have a THC concentration higher than 0.3% and, in general, a lower concentration of CBD. Is hemp oil the same as CBD? No. CBD and hemp oil are not the same thing, even though they can both be attributed to the Cannabis genus. CBD is the active ingredient derived from the hemp plant and other members of the Cannabis genus, and is most commonly extracted from the flowers, leaves, and stalks of the plant. Hemp oil is typically created using only the seeds of the hemp plant and contains negligible amounts of CBD and other cannabinoids. The Farm Bill, also known as the Agricultural Improvement Act of 2018, passed by the federal government, legalized the cultivation of industrial hemp containing 0.3 percent or less THC. The legislation also allows for the hemp plants (and derivatives) to be sold and transported across state lines, as long as the products contain no more than 0.3 percent THC concentration and have been cultivated according to federal regulations. The federal legislation also removed hemp-derived products from their categorization as a Schedule I Controlled Substance. It’s important to know that specific rules and regulations may vary depending on your state of residence, so it’s always a good idea to check before purchasing. Do your products undergo third-party testing? Yes. 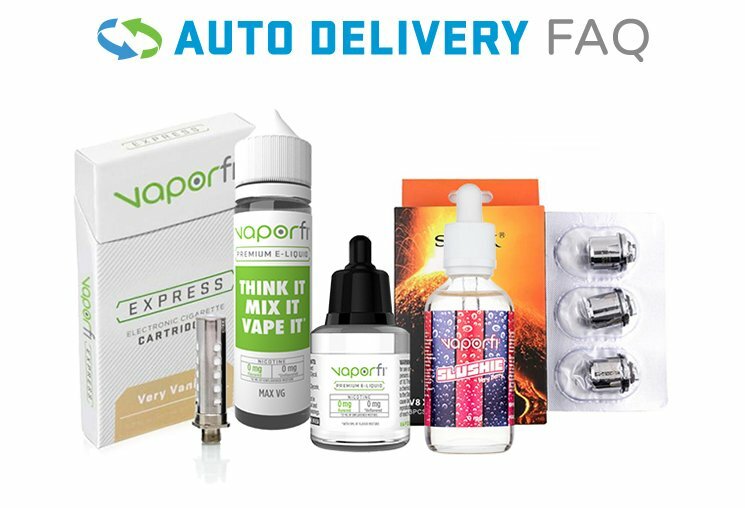 Every batch of products carried by VaporFi is tested at independent, third-party laboratories to ensure quality, consistency, purity, and potency. We are committed to providing customers with products that meet or exceed industry standards and best practices. Test results are available at any time for customer review by viewing the Certificate of Analysis located on each product page. Do VaporFi products contain THC? All products sold by VaporFi test at or below the federally-approved level of 0.3 percent THC concentration. Products carried by VaporFi contain little to no THC because they are produced using CBD extracted from industrial hemp plants. Will VaporFi products cause me to test positive for THC? While the products we stock contain little to no THC (meeting federal guidelines), we recommend that you avoid any hemp-derived products if you are concerned about a positive THC result on your drug test or blood work. A CBD tincture is one of many different ways to experience CBD, providing a highly concentrated CBD extract in liquid form. Tinctures are made by steeping hemp flowers in high-proof grain alcohol, glycerin, or other mediums, then simmering the liquid for several hours. After the preparation process has been completed, the liquid is usually combined with a carrier oil to make it easier to measure and use. What is the difference between CBD isolate and full-spectrum CBD? Full-spectrum extractions utilize the entire hemp plant during the extraction process, resulting in a final product that contains CBD as well as all other cannabinoids and plant-based compounds present in the plant. The primary ingredient in full-spectrum products remains CBD, but it is joined by a variety of other natural compounds including other cannabinoids, terpenes, flavonoids, vitamins, minerals, fatty acids, and more. CBD isolate is CBD is its isolated form, typically labeled as 99 percent or purer CBD. Depending on the specific product being made, either full-spectrum CBD or CBD isolate may be selected as more or less appropriate for the specific application. What can I use CBD products for? VaporFi customers use our products for a wide range of reasons, finding multiple uses for the plant-based properties of CBD. We always encourage customers to conduct their own research to learn more about why so many people have made CBD an important part of their everyday regimen. You may discover new and exciting reasons for incorporating CBD into your daily routine. How much CBD is right for me? Because every individual is different, VaporFi always recommends beginning with a very low quantity of CBD. You may then increase or decrease the use of CBD as desired, based on your observations and unique personal experience.